Here’s a bit of good news to chase those workweek blues away. 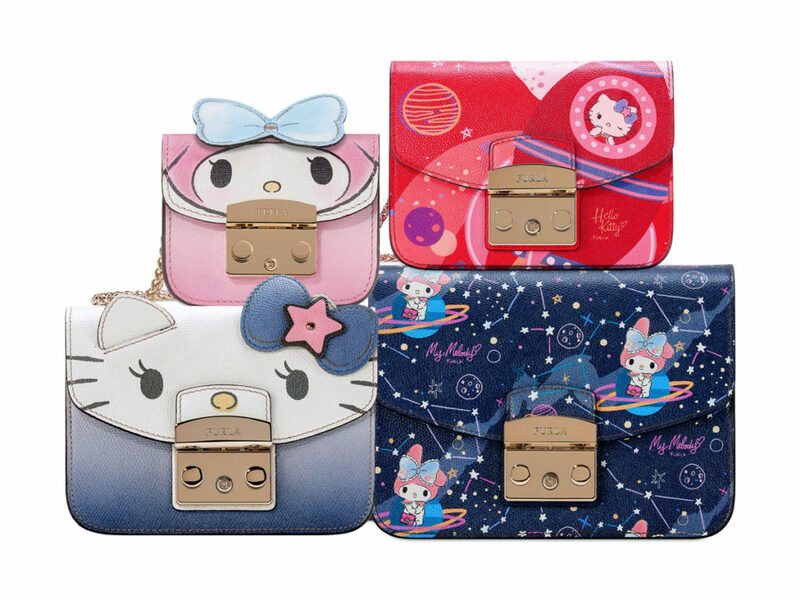 Furla and Hello Kitty will be coming together for a second collection this April, following 2018’s highly coveted capsule collection that featured the adorable Sanrio character pictured together with florals and plants. But that’s not all. My Melody (yes, that same character that was featured on McDonald’s limited edition food holder that drove fans crazy in December last year) will be teaming up with Hello Kitty in this special series that sees the duo journeying into space. In total, there are 3 key prints to keep an eye out for. Starting with Stars, which features My Melody sitting on Saturn’s rings against a dark blue constellations background. Then, there’s Planets, which sees Hello Kitty hiding behind Saturn, surrounded by stars and plants orbiting her. The third, Missile, comes in a bright bold shade of pinks and reds, where Hello Kitty is spotted aboard a rocket jetting off into space. The graphic prints are translated into bags, specifically that of the Metropolis, which comes in a Small (SGD780) or Mini (SGD670) size that needs no introduction at all. You will also be able to find them on the XL Envelope (SGD265), a large pouch which can be worn as a clutch or wristlet, along with the Mini Cosmetic Case (SGD275) that’s essentially a bag charm that doubles up as a holder for your lipsticks or travel sized beauty essentials. 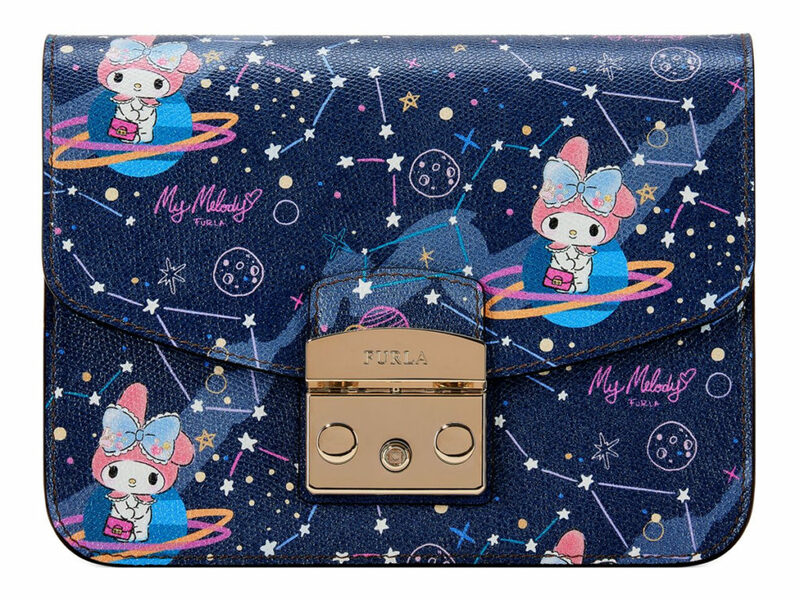 Something that makes a return will be the additional flaps on the #MyPlayFurla Metropolis Mini bag (SGD480), which comes with little bow (and pearl effect detailing) embellishments to complete the Hello Kitty and My Melody look, sitting on a blue and pink body respectively. The flaps can also be purchased separately at SGD240 each, so you can customise them as you please. Last, but by no means least, Furla will also be showcasing brand new printed fabric bands, the Kitty Bandeaux (SGD145), which can be twirled over bag handles or worn as a bracelet on your wrists. Stay tuned for the official launch on 15 April, when the collection will be available in Furla Singapore boutiques ahead of the global launch in May 2019.